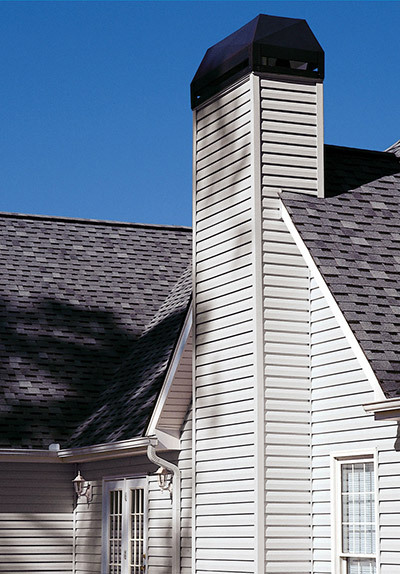 With the frequent weather shifts residents of Rockford’s experience, you’ll need siding that can handle the elements. 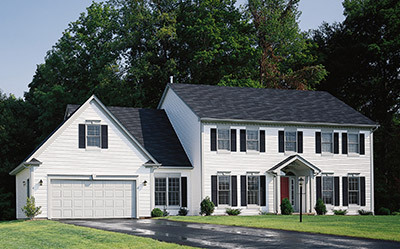 Feldco’s pure, virgin vinyl siding was made to handle any weather condition experienced in the Midwest. It’s durable design resists warping, cracking and splitting so your home will look gorgeous for years to come! You’ll never have to worry about painting or staining your siding again. If you’re going to offer an excellent product, you’re going to need an excellent installation team. Feldco offers just that! Our goal is to improve the energy efficiency and beauty of your home so when we leave, you’re delighted. That means no detail is too small for your installation team when installing your new siding. Through the entire process they’ll take great care of your home and you’ll be extremely happy with your decision to go with Feldco for your replacement siding. 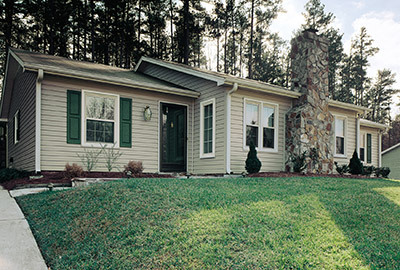 If you’re looking for beautiful, maintenance-free vinyl siding, look no further than Feldco. After being Rockford’s number one siding replacement company for the last 10 years, we have proven expertise in siding. From your first call all the way through installation day, we make the entire process as easy as possible for you. We are dedicated to delighting you and exceeding your expectations on your siding replacement project. There are many styles of siding and we know that can become overwhelming . Our Product Specialists will help determine which product best suits your home. You can also mix and match different styles of siding to create the perfect home exterior. When it comes to vinyl siding, the most common style is standard siding, also known as double four siding. It gives your home a clean profile and there are many different color options. It’s a great option for updating the style of your home. Dutch lap siding is similar to standard siding but includes a decorative groove to add another dimension to your home exterior. The shape of the siding also provides increased durability which is perfect for Rockford’s weather conditions. Dutch lap siding is also incredibly easy to maintain. Board and batten siding is a stunning option with it’s eye popping design. 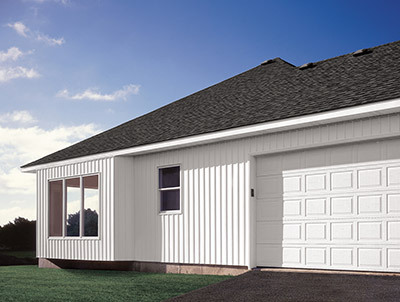 It has alternating widths of vertically placed siding which provides a unique look for your home’s exterior. The added depth and dimension will definitely improve your curb appeal. 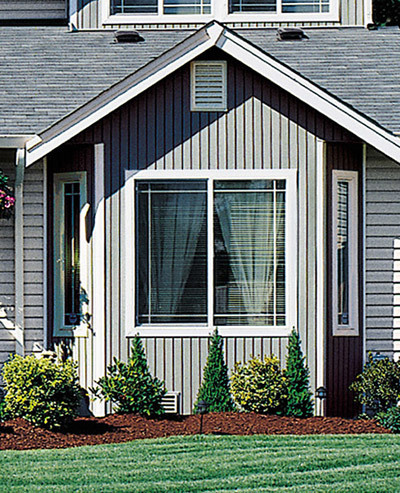 If you’re looking for a contemporary style of siding, vertical siding is a great option. While most siding styles use horizontal boards, vertical siding might be a welcome change for your home’s exterior. 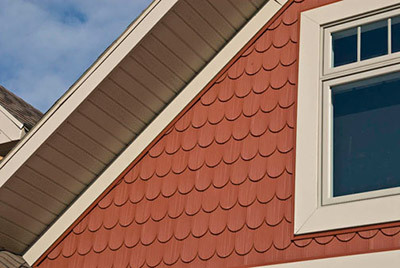 Shake siding creates a unique look for your home by recreating the style of traditional cedar shingles. 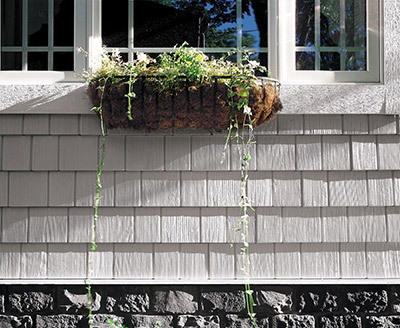 Typically used in eaves or gables, shake siding still looks great when used for your entire home. The decorative element will improve curb appeal by turning an average house into an extraordinary one. Scalloped siding is unlike any other option because of its curved design. 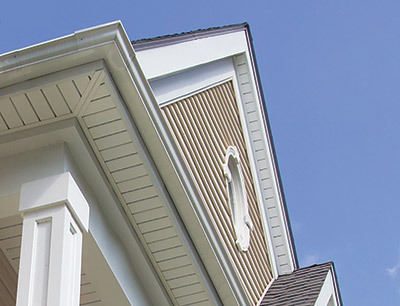 The bottom of the siding is curved creating a unique accent to your home. Scalloped siding is typically used in smaller areas of your home since it works so well with the straight lines of other siding styles. Even when used in larger areas, it creates a dramatic look that is sure to catch a few eyes. No home exterior is complete without soffit and fascia! Soffit is typically found under eaves or extended rooflines and provides fantastic ventilation for your home. Fascia acts as a trim to complete the entire look of your home. Working together, they complete a gorgeous home exterior. Once our Product Specialists have helped you choose the perfect siding for your home, the installation team comes out and properly installs your new product. First and foremost, they will treat your home with the utmost respect. They will remove your old siding with care and prepare your home for the replacement siding to be installed. All along the way, the installation team will take steps to ensure your home is protected. We Are the Siding Experts! Feldco vinyl siding is perfect for any type of exterior improvement project – whether it is updating the look or completely transforming your home. With four decades of experience with Midwest homes, we know you’ll be delighted with your replacement siding project from Feldco.